One focus of the upgrading of this section of line was the building of new bridges over the River Elbe. 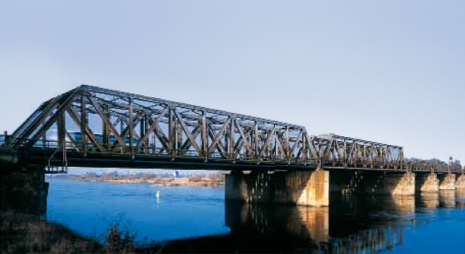 The structural condition of the four existing railway bridges (three bridges over the floodplain and one bridge over the foreland and river) was no longer sufficient to cope with the train capacities. Because of the new track layout and their extremely poor condition, they had to be replaced. Trains could only pass the bridges at 30 km/h. The new road bridge was also necessary because of the structural condition of the old bridge and the increase in traffic volume. The new bridges for the B 2 road and the rail line were constructed 50 metres apart about 300 metres east of the existing bridges. The route chosen bypasses a valuable wetland biotope known as Flutteich II and permits a speed of 160 km/h along this section of line. 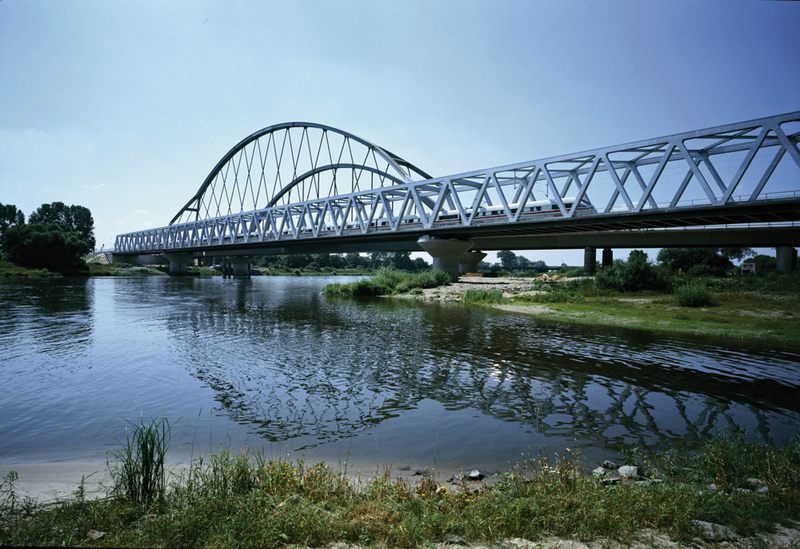 Because the two bridges were built so close together to protect the areas alongside the Elbe, the section with the bypass from Hallesche Straße to north of Eutzsch was started first and implemented at the same time as the rail line.